No need to send them down the aisle with a pillow. 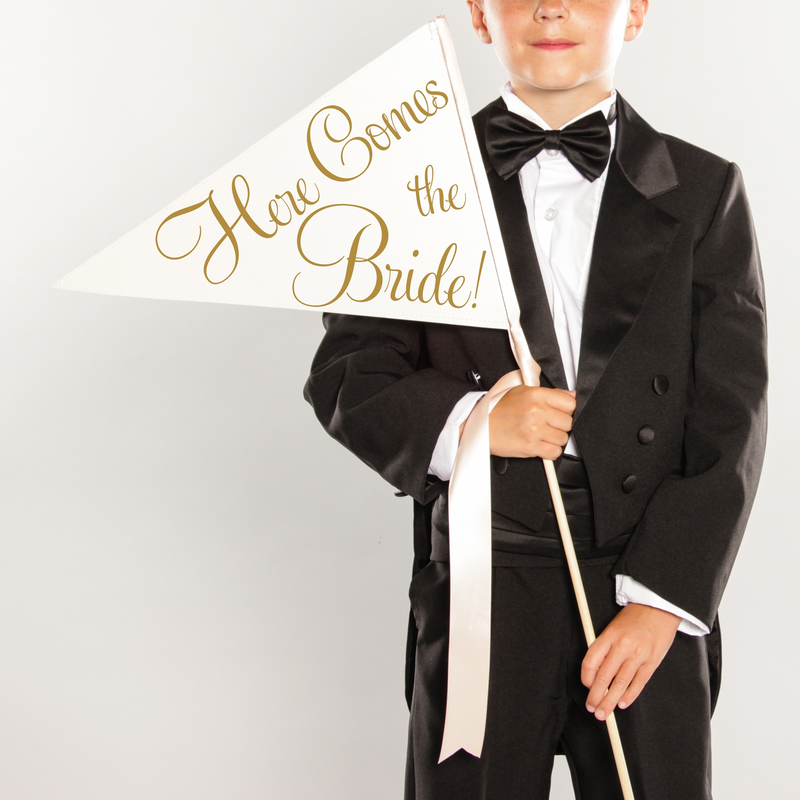 Let the ring bearers express themselves and have fun with The Ritzy Rose line up of Here Comes the Bride signs. Few moments are more precious than those kids come down the aisle. Shy, excited, smiling, crying... you never know what to expect, but usually it comes with a smile from everyone. 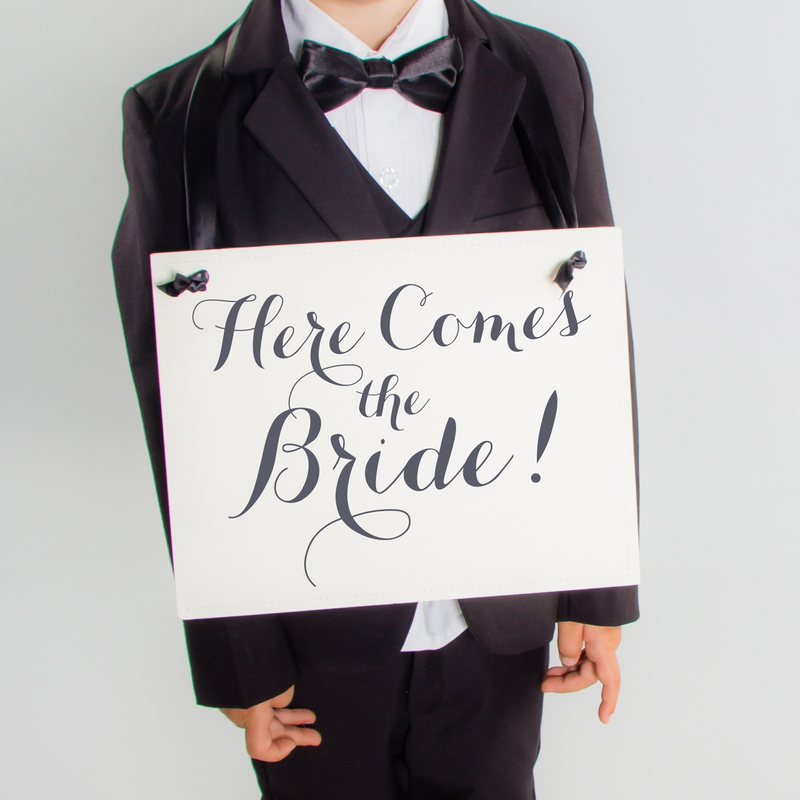 We offer a great chance to add to the smiles of both the kids and those looking on with signs and flags to carry down the aisle. Choose from 20 different ink colors to fit your style and look. Two sizes of signs and flags are offered. 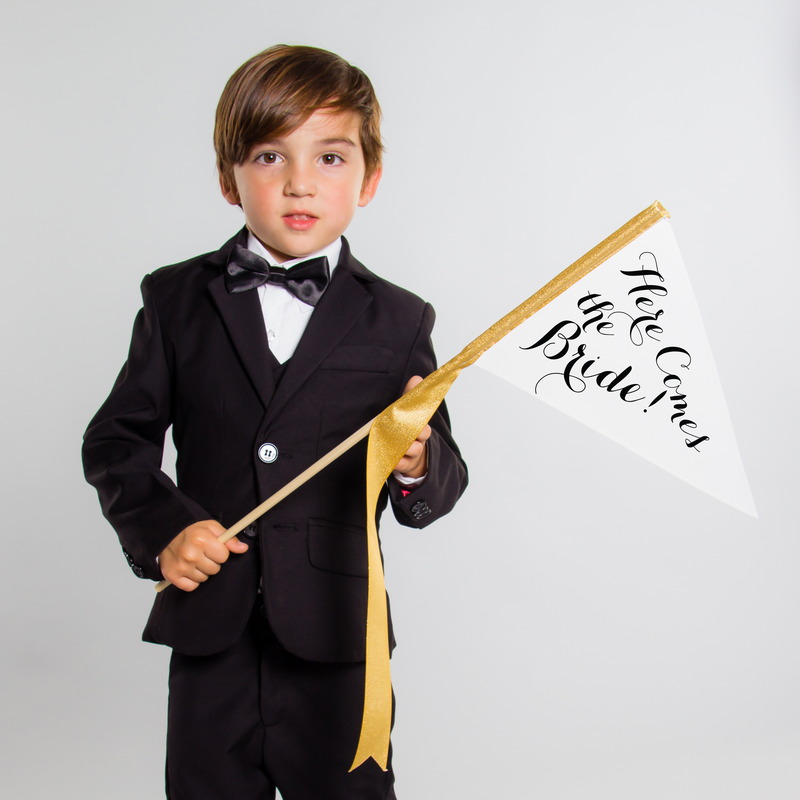 Since 2010 The Ritzy Rose has been producing handmade goods including the signature Here Comes the Bride Pennant Sign. Known for high quality products and excellent customer service, the small team is there for you.